Global tire market is profoundly dependent on the wellbeing of automotive industry; worldwide production of car sales is anticipated to reach 77.8 million by the end of 2017. Owing to the huge demand generated from cars, buses and trucks coupled with increasing demand for low resistance tires, the global tire market is projected to reach heights in the upcoming future. 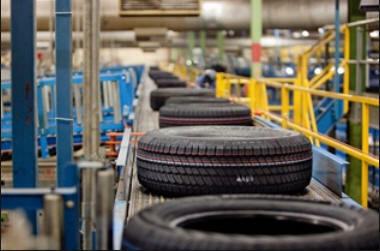 Replacement tire shipments tend to be the largest and most defensive piece of the tire market. On the other hand, tire manufacturers continue to benefit from their over-exposure to replacement market. The replacement tire market is relatively lesser recurring and mounts the global tire market in terms of margin. Geographically, Asia-pacific region dominates the global market in terms of production and consumption. Moreover china is capturing the global market with their low pricing strategy and represents the world biggest market for tires. In product segment, global players are capturing the market by introducing appealing new products with specific optimization in order to meet the fluctuation of demand in each geographical segment. Increasing consumer awareness towards road safety along with rising number of road accidents has forced OEMs to focus on tire efficiency and performance. Now the key players of the market are taking the road to innovate new product design such as lightweight tires, streamlined ribs, blocks and lugs. Stable production in automotive industry will further flourish the growth of OEM market. Sheer size of demand for lower rolling resistance tires is majorly driving the global market, lower rolling resistance tires can save up to 15% of the fuel consumed. The environmental benefit of lower rolling resistance tires is propelling the demand such products worldwide. Owing to rising average vehicle life, replacement tire demand in the aftermarket is likely to increase in the coming future. With boosting replacement rate, replacement tire market is carrying out the major revenue share with a steep rise of 8% market share in 2016. Global tire market is anticipated to reach USD 322 billion by 2022 witnessing a promising CAGR of 8.4% over the forecast period i.e. 2016-2024. The market is expected to reach 2.4 billion units by 2022. Of the road product segment is expected to witness a strong CAGR of 4.8% through the forecast period. With massive demand of two wheeler tires, Asia pacific region is expected to project a CAGR of 5.3% over the forecast period. In 2016, 38% of the global market share is captured by Asia Pacific region.